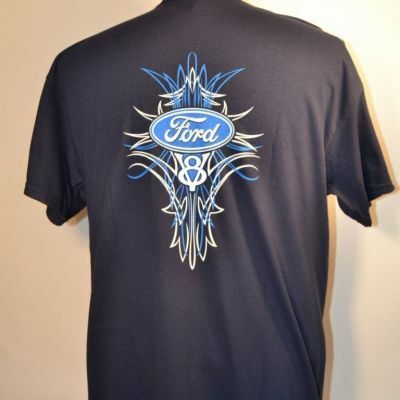 2019 North River Tee Shirts. 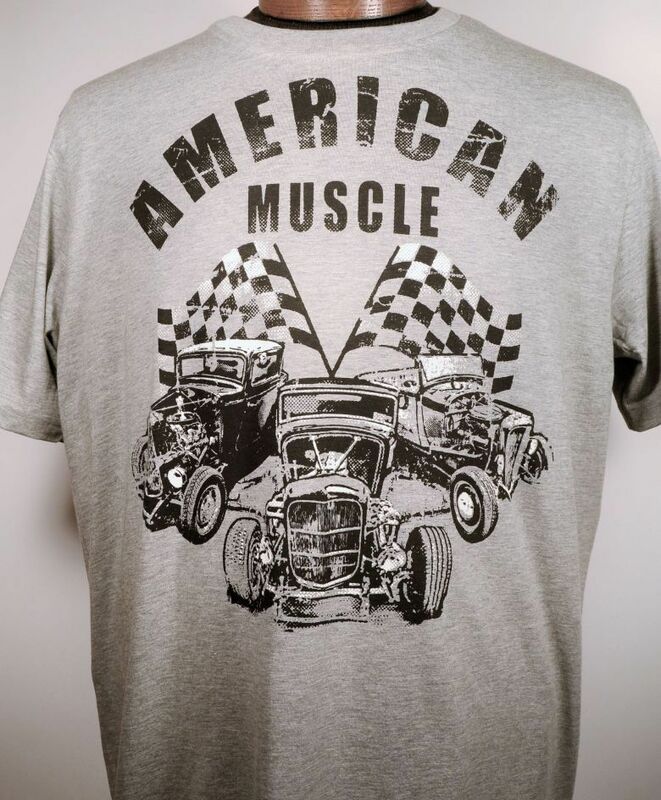 This good looking American Muscle Grey T-shirt made from 100% preshrunk cotton. 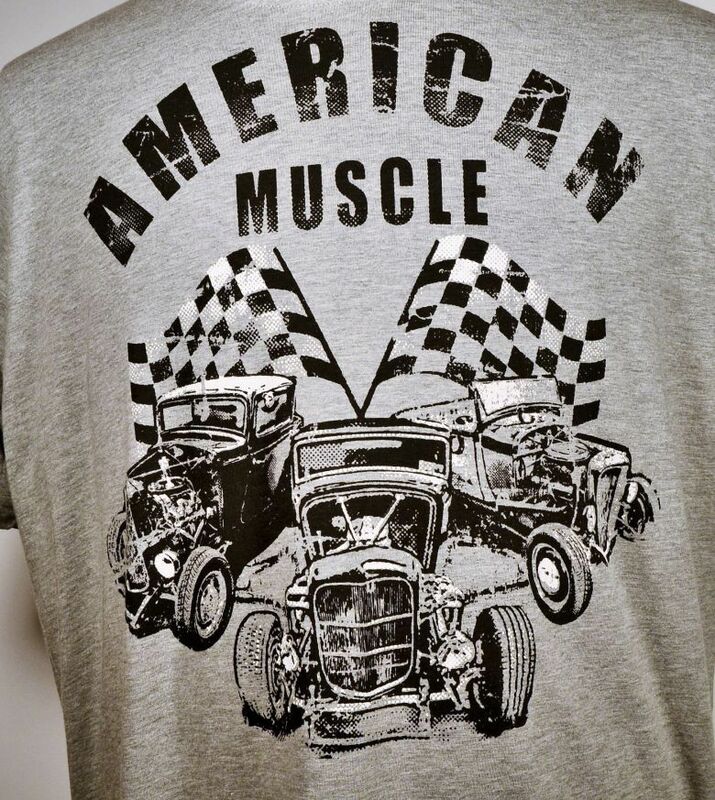 There are 3 different 30’s style hot rods in a silver and black graphic. 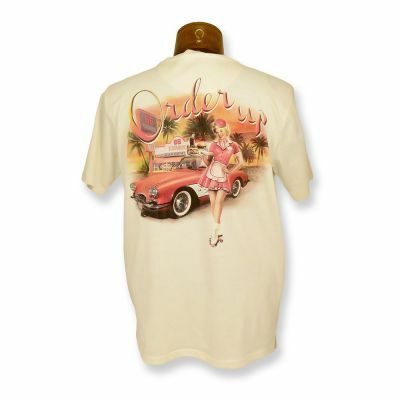 These will go fast pick up yours while you can.